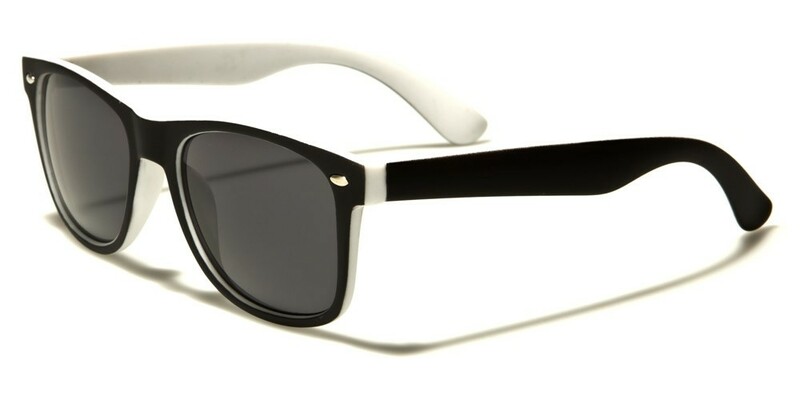 These revo-lens velvety-handle two-tone retro-style unisex glasses match the classic black with a number of different colors: white, red, pink, orange, yellow, green, blue and purple. With the black color in place, you will have the opportunity to match these shades with more outfits than you would have been able to if they were a brighter color. The presence of two colors makes these glasses unique compared to other glasses that look similar. The look of these glasses is like what you would find elsewhere with the exception of the two-tone design. The colors that are used for these glasses are bright enough to get everyone's attention.